Microsoft has announced the confirmed price scheme for Xbox 360 Live, which pretty much conforms to the report we filed last week. 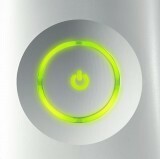 The big news is that Xbox 360 Live Silver service will be free, and, it seems, will be unfettered. All of the other packages come with either communcator hardware or some credits to spend in the Xbox 360 Live Marketplace. Prices start at $7.99 per month, $19.99 per three months, and $49.99 per year. Premium Gold Packs will be available at the three month and full year subscription levels, and will cost $39.99 and $69.99 respectively. Microsoft also confirmed that gamers would be able to purchase XBL subscription cards at retail outlets without a credit card. Oh, yeah. The people who brought you Joe\'s Apartment and the (hopefully super amazing) Aeon Flux have picked up Midway\'s extreme psychological terror game The Suffering. The film adaptation will feature the work of Stan Winston Productions, famed creature creators and special effects gurus. Here\'s hoping they keep the grit, because that game is F%&## UP.